Diamond Resorts has named Jim Mikolaichik as its new chief financial officer following the retirement of Peter Crage. 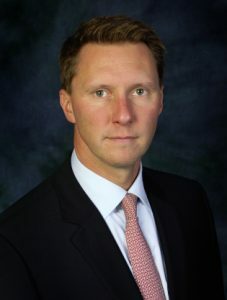 Having most recently served as executive vice president and chief financial officer of Hilton Grand Vacations (HGV), Mikolaichik has extensive experience in all aspects of financial business strategy, including financial planning, budgeting, financial services, sales and marketing management, resort operations, corporate HOA accounting and corporate development. In his previous role, Mikolaichik led all finance-related matters in the successful tax-free spin off of Hilton Grand Vacations. He also led the acquisition of Elara in Las Vegas. Prior to that role, Mikolaichik served as chief financial officer of Manning & Napier, Inc., where he was responsible for all aspects of strategic and financial planning. He has also held positions with Old Mutual Asset Management and Deloitte. Michael Flaskey, chief executive officer of Diamond Resorts, said: “As we continue to position Diamond Resorts as a leader in the vacation ownership industry and look to drive long-term growth, we want to ensure that our leaders are well-positioned to apply their expertise and strengths.